Inviting campus auxiliary service leaders working at a management and director levels with oversight responsibilities and influence who seek to better understand the organizational politics and collaborative leadership involved with managing multiple operations and making intersectional decisions to improve productivity, profits, and overall campus experiences. This event is presented by Prism RBS and is part of the NACAS Leadership Series and precedes the Central/West CX regional conference. 2019 Schedule of Events available now! Take the next step to develop your career in auxiliaries and understand the organizational politics and collaborative leadership involved with managing multiple operations. Leave feeling ready to show up as a leader on your campus and make the important decisions that will improve productivity, profits, and overall campus experiences. Stay in Downtown at Swissotel Chicago, which is an award winning, four-diamond, all-glass triangular luxury hotel. Ideally situated in the confluence of the Chicago River and Lake Michigan and just steps away from exclusive shopping on The Magnificent Mile in downtown Chicago, with fabulous wrap-around views from Navy Pier to Millennium Park, Swissotel Chicago offers an exclusive setting with one of the city’s most prestigious addresses. IMPORTANT: You will use the booking link for the Central/West CX conference, which takes place after the Institute, to reserve your room. An interactive training experience for leaders in auxiliary services. 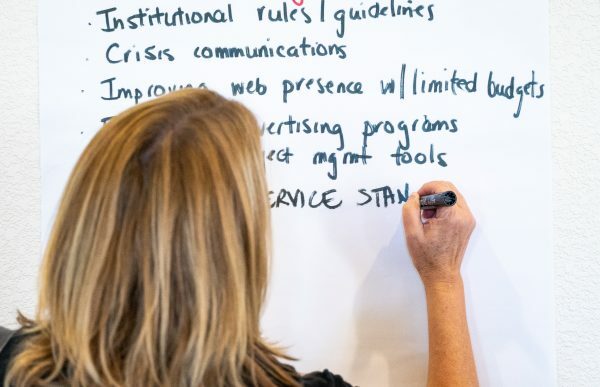 NACAS Leadership Series seeks to provide auxiliary service professionals with tailor-made programs to boost them into the next level of their learning journey. We invite you to join us for one or more of our newly-designed events. PrismRBS is the product of a strategic partnership between Nebraska Book Company’s technology division and Ratex Business Solutions.